What can we add to God’s mercy to be saved? The Reformers broke with the Roman Church when they answered that Christians are justified by faith alone. But evangelicals no longer seem certain about that keystone of faith. 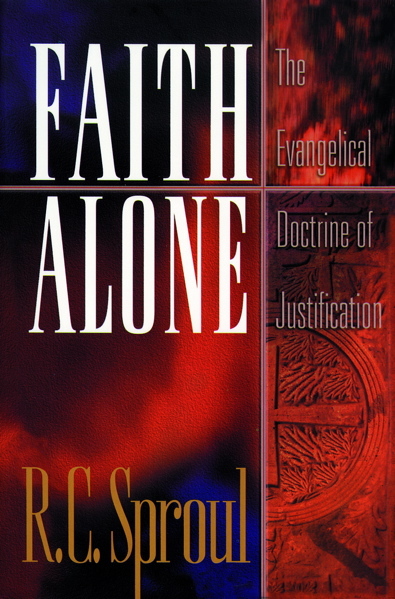 In Faith Alone, a Gold Medallion finalist and Evangelical Book Club main selection, R. C. Sproul discerns a softening of the doctrine of justification and explains why Christians must return to the biblical, Reformation view. He provides biblical evidence and theological reasons why Protestantism and Roman Catholicism divided in the first place, and why that division remains an uncrossed chasm. Now in paperback, Faith Alone offers a clear explanation of classic Protestant teaching on salvation, helping readers understand why this teaching is so important. Dr. R.C. Sproul is the founder and chairman of Ligonier Ministries, an international Christian education ministry located near Orlando, Florida. His teaching can be heard on the program Renewing Your Mind, which is broadcast on hundreds of radio outlets in the United States and in 40 countries worldwide. He is the executive editor of Tabletalk magazine, general editor of The Reformation Study Bible, and the author of more than seventy books and scores of articles for national evangelical publications. Dr. Sproul also serves as president of Ligonier Academy of Biblical and Theological Studies, and Reformation Bible College in Sanford, Florida. He currently serves as senior minister of preaching and teaching at Saint Andrew’s in Sanford, FL.